Post stair climb race, and yes, my wife has amazing legs. She will also be at the games taking pictures! You KNOW I have to repost this on the Games Facebook page right? Holy Crap! Team Firefighter has a Kona Qualifier! Hopefully I can convince him to race in the games as well! Has anyone booked a hotel using the accommodation system yet? Was wondering if they charge the full amount to your credit card now, or do they just use the info to hold the room. Yes, booked mine. Nothing has been charged to the card yet, I believe it will be deducted at check in. David is right. Check the wording on each hotel but 99% of them the reservation can be changed up until 24-72 hours prior to arrival. You are charged at the hotel. This is not a pre-payment deal. If your venue changes or you want to change hotels, you can do so by canceling and booking a different one. I believe you are also guaranteed the lowest price at a given hotel so if the price goes down you will get the lower price. This is much different than previous Games. Like I said, read each hotel property for the specifics just to make sure. Thanks for the info guys. I'll be booking tonight I believe. Can't wait to meet all you guys! Some Sufferfest training at the firehouse. Team Firefighter is excited to be a part of the games! Happy Thanksgiving to all! Even if you don't celebrate it in your country, be thankful that we have the best jobs in the world! We have a few guys from Team Firefighter going to Ironman Arizona this weekend. Anyone else going to be there? My wife is such a good photographer. This is a shot of me that is going to be used in a firefighter triathlon calendar for charity. I'll post more as I get info. We have an individual on the planning team that is looking into this for the Fairfax individuals. As we move forward in the next year we will have a number of items available such as the cycling jerseys, hockey sweaters, etc. 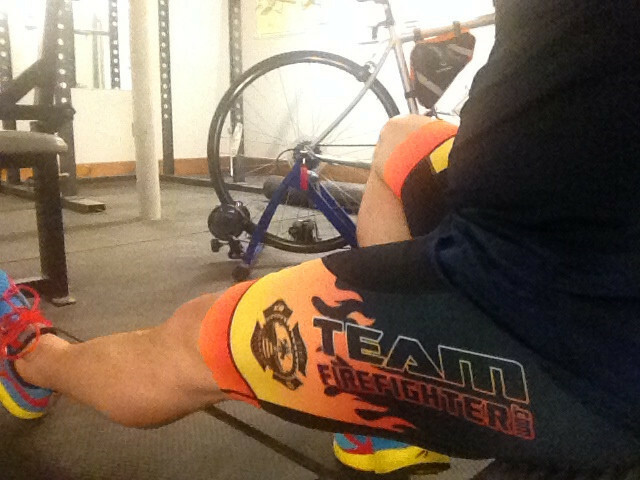 I am a firefighter in Westport, CT and a member of Team Firefighter which is a team of professional firefighters that compete in Triathlons and other endurance events.